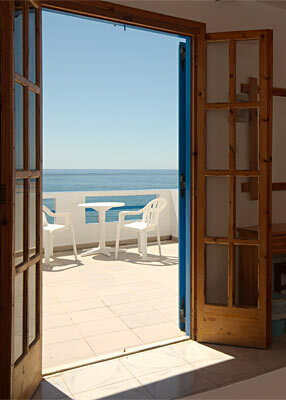 All the rooms at the Old Phoenix have sea view, attached bathrooms as well as balconies overlooking the sea. In the centre of the complex, directly above the water is a shaded terrace where we serve breakfast, lunch, dinner and refreshments. 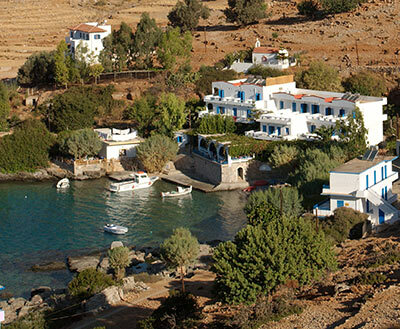 The beach is a small pebble beach with tamarisk trees offering shade, some sunbeds and umbrellas. The sea is usually very still and the water exceptionally clear. All the rooms have air-conditioning, private bathrooms, fridges, hair dryers and balconies. The balconies have sea view as well as sunbeds and umbrellas. We also have free WiFi internet connection on our restaurant terrace and in the rooms. Our prices are for room only. Breakfast, lunch and dinner will be charged separately. We do not have BB, HB or Full Board rates. Single occupation of double rooms is charged at the same price as the double rooms. You are very welcome to just turn up at our hotel but we recommend that you book your accommodation in advance in order to avoid disappointments. You can make reservations by email to info@old-phoenix.com: please allow up to 24 hours for confirmation of your booking. Reservations for one or two nights will need to be fully paid in advance by credit card. Reservations for longer stays will require a deposit. For cancellations made earlier than one month before your arrival date you will get a full refund of your deposit. Cancellations made less than a month before your arrival date will incur loss of your deposit.